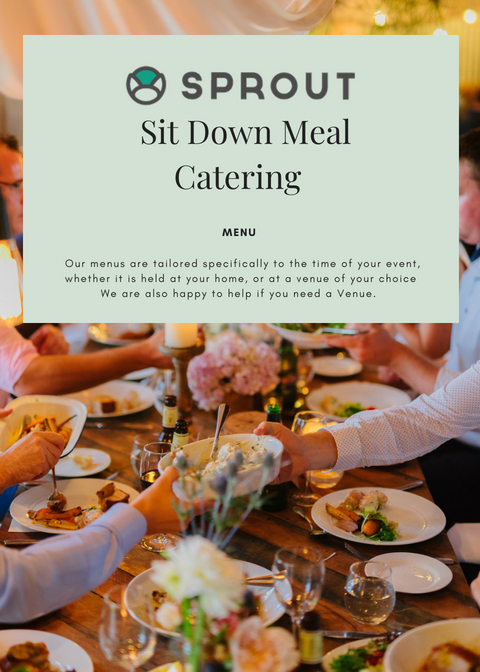 Sprout Catering can tailor Events to suit the overall experience you want for your guests, from menu design and food presentation to service style. 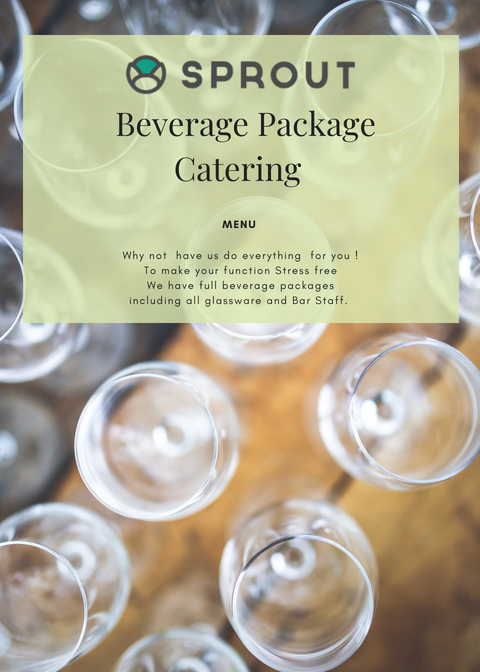 Whether you are looking for quirky food stations or classy Cocktail Events Sprout Catering is here to assist. Our food is made fresh with a large range of GF & Vegetarian options. Our staff is able to assist you with all you dietary needs. 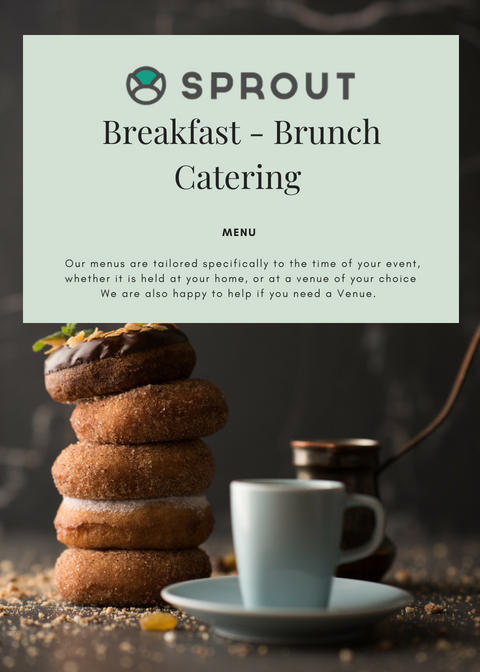 When you are looking for delicious and affordable breakfast catering, we can offer you something a little different for your next event. All freshly baked high-quality catering. 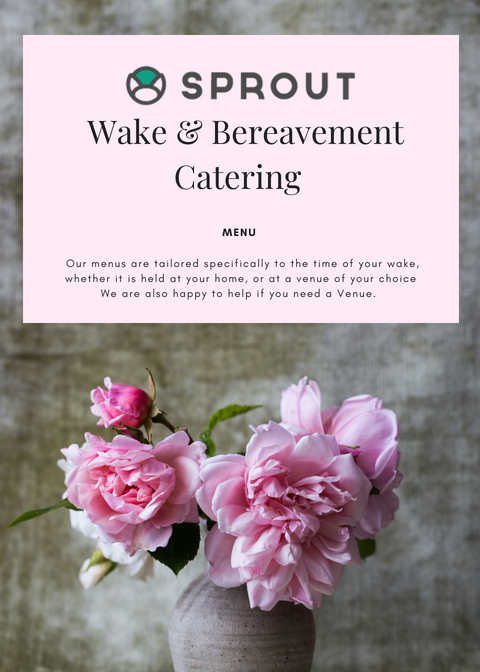 We understand you need quick responses, someone who will work to a budget and deliver the best possible tribute to your loved one. Whether you have 30 minutes or 2 hours, canapé receptions are fantastic for networking Events, pre dinner drinks or simply an informal standing reception. 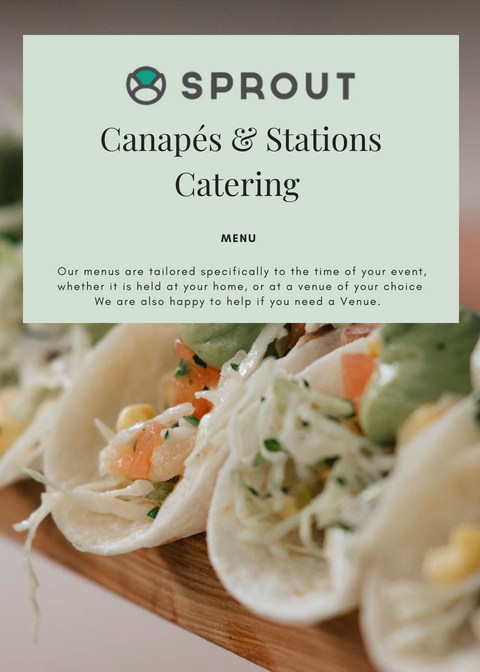 Savoury or sweet, we can provide a delicious menu to suit your event. All item freshly made with lots of Gluten Free & Vegetarian Options. Sprout has a variety of options to choose from. 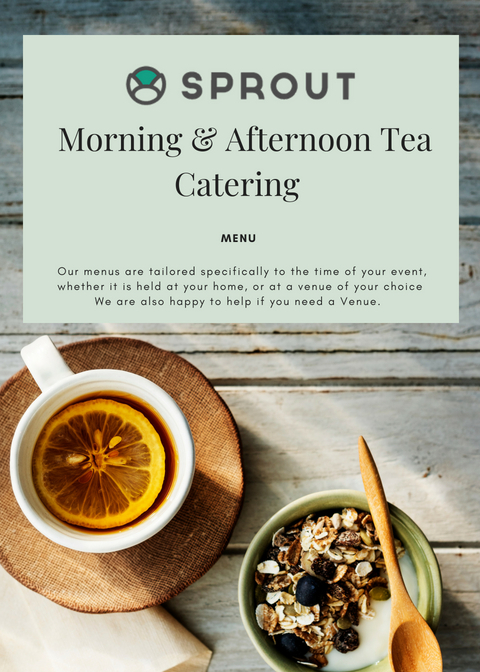 But we are also happy to tailor Menu’s to suit the seasons and your Event, Party or Wedding.